Many years ago, in my science class, I got to know that stars aren’t the tiny, twinkly things I thought they were. That didn’t diminish my interest in these heavenly bodies. Instead, I got more intrigued. Years down the lane, I am a stargazer who loves studying astronomy in her leisure time. So today, I have compiled a short list of some incredible star fact for you that will astonish you and make a very informative but a little less fairytale-like bedtime story for your children. Normally, the stars die after a supernova as their core collapses but Eta Carina has become “our biggest embarrassment today” in the words of Stan Woosley. There are many theories as to how this star would die, because of the unpredictable stellar activity that is going on in the core and around the outer shell of the star. 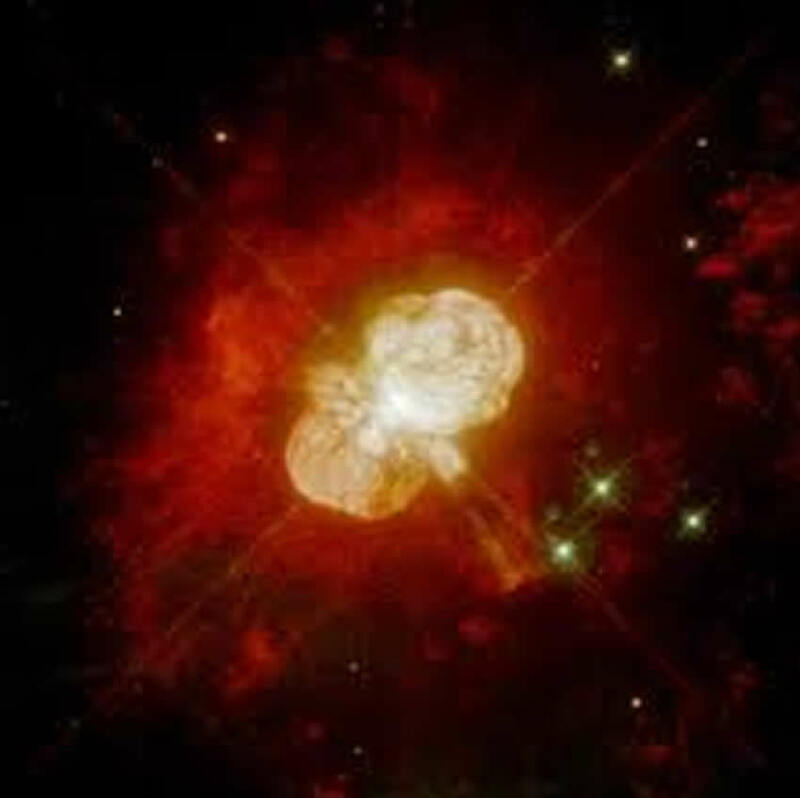 Some may even believe that Eta Carinae would be the death of all life on Earth, causing ultraviolet radiations to spread across the globe with acid rains after its intense light has blown away the ozone layer. On the contrary, another popular belief is that the star has died already, but since it’s 7500 light years away, it will take us quite a while to know that it really has died. Have you ever wondered how a star is born? It is the huge, cold clouds of hydrogen that collapse under their gravitational pressure giving birth to many stars. The gravitational pull invites the other element, forging a ball of light and energy that has about ¾ of hydrogen and ¼ of helium at its core. If a star has enough solar mass, it ends up initiating a nuclear fusion reaction in its core where hydrogen is continually being converted into helium. A general rule of thumb is that more massive stars normally have a short life span. 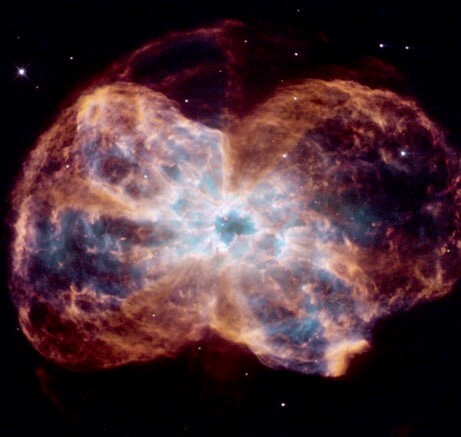 (Eta Carinae’s very uncertain, though) And the stars that have a normal mass can live on for many billion years before finally becoming a red giant. Our sun is categorized as a medium-sized star that has about 7.5 billion years of life left before it finally converts into a red giant, eating up Mercury, Venus and probably even us! If our Sun were any larger than this, when its core would collapse, it would turn into a supernova. A supernova is estimated to emit as much light in a minute that an average sun emits in about 9 billion years. So, what exactly happens when a star dies? 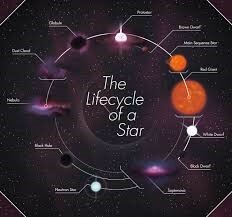 There are many possibilities and ways in which a star can die, which depend upon its initial mass. The star can die either in the form of a supernova in which the energy from its core cuts right through the star’s outer shell and spread in all directions. Or it can end into a planetary nebula. If the remaining mass of a star is as much as one and a half times our sun, it could turn into a white dwarf. At this mass, the dead star has a very dense core which has become very small, but it’s still luminous to a degree. If what remains of a star after its death weighs as much as three times our sun, it forms a tiny, dense matter otherwise known as the neutron star. Neutron stars are the densest objects in the planet, and even the tiniest bit of a neutron star can weigh many million metric tons. Another possibility upon the death of a very massive star is the formation of a black hole. A black hole isn’t an object; it’s an area with infinite gravity which is formed around a point of infinite density; this event makes it a singularity. A black hole is so dense, and its gravity is so intense that even light doesn’t escape it. I hope you enjoyed these facts; if this article has urged you to have a star of your own consider adopting one at starregister.org.